Kids love to build tents and then play pretend in their magnificent structures. Crazy Forts helps encourage these creative building skills in a fun, unique way! Simply connect the balls and sticks and cover the tent with bed sheets or blankets, whatever you have on hand! 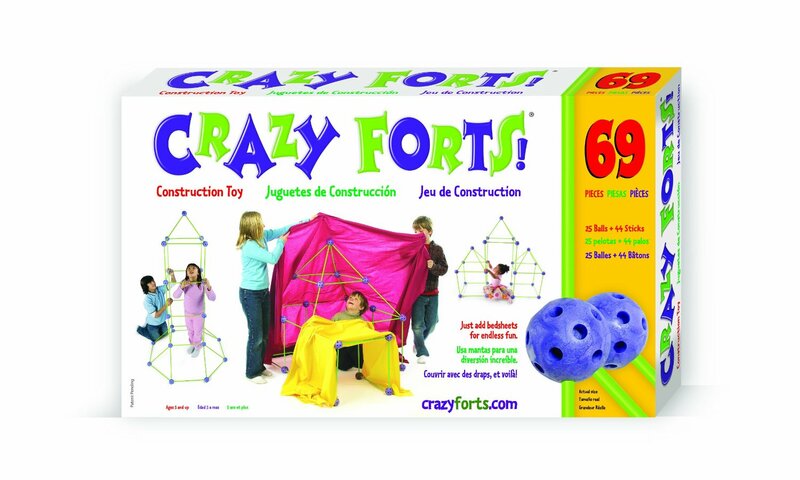 This 69 Piece Original Crazy Forts set is perfect for building towers, caves, castles or anything else you can imagine! Best of all, when the lights go out, the balls and sticks glow, illuminating the darkness! Each set comes with 25 balls, and 44 sticks. No glue, screws, bolts or batteries are needed! 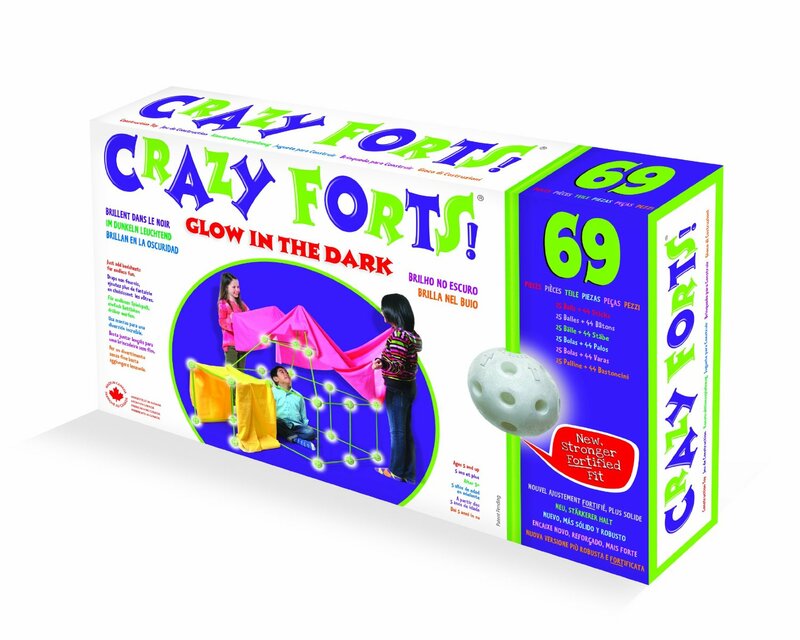 Crazy Forts is recommended for children ages 5 and up. Some adult supervision/assistance may be necessary. Bed sheets, tarps, blankets and other fort coverings are not included. Hi, I'm Dr. 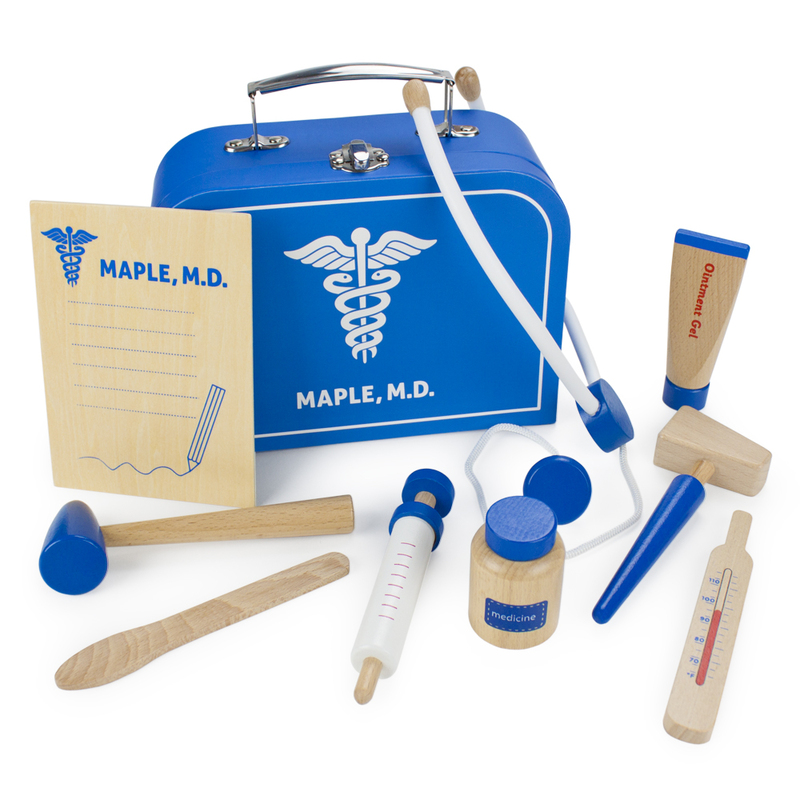 Maple, and this is my medical kit. Inside you'll find the tools I use every day! Why don't you try them out for yourself? When you open up the metal latch on my sturdy doctor's case, you'll find my stethoscope, thermometer, and patient chart, my otoscope (ear checker! ), ointment gel, medicine bottle, tongue depressor and reflex hammer. I also have a spring-action syringe for when I do need to give shots, but I do my best to make sure they don't hurt! All together, that's 10 handy doctor tools. Of course, I only use the finest all-natural wooden tools with simple designs and safe paints. And when it's time to clean up, they all fit snugly in my personalized carrying case! Playing pretend is a great way to use your growing imagination, and playing doctor with friends and family is a great way to encourage social skills, concentration and focus, and creativity! 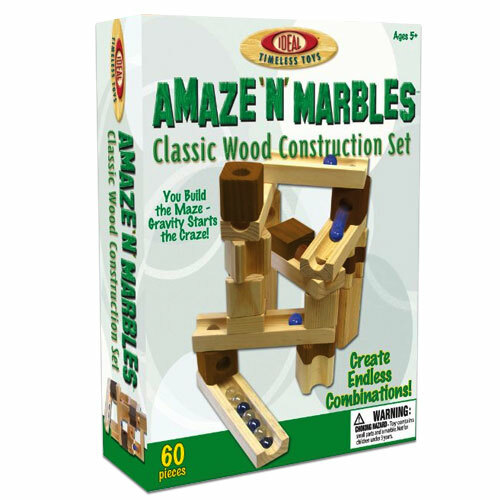 Amaze N' Marbles is a Classic Wood Construction Set where you build the maze and gravity starts the craze! 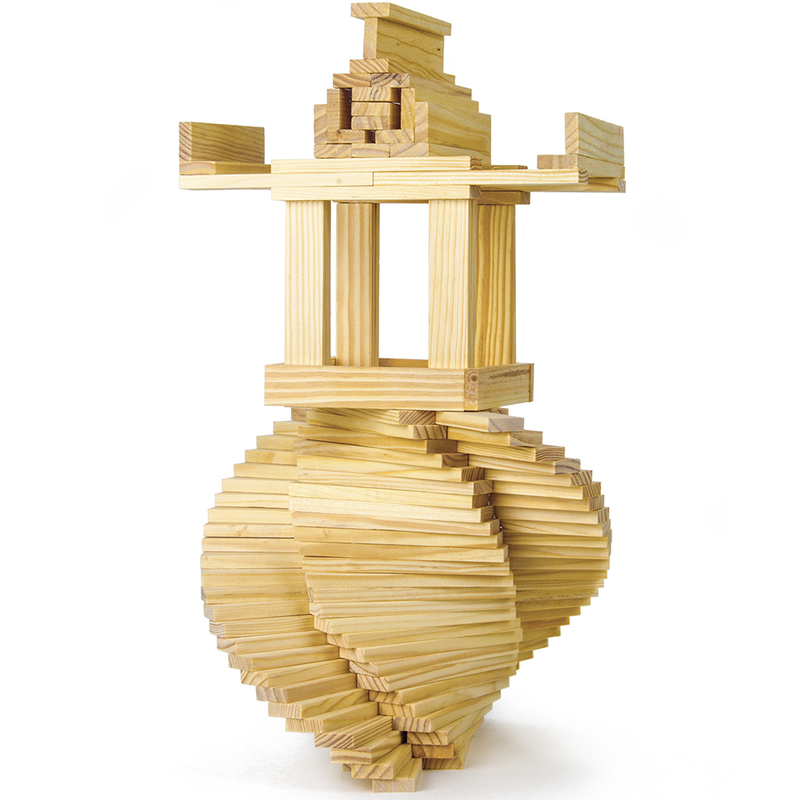 This timeless toy allows children to use all-natural wood pieces to stack, reconfigure and design endless building combinations. The wooden block shapes are easy to manipulate. Best of all, no directions are needed! Kids can simply use their imaginations and creativity to build whatever inspires them. While building, kids inadvertently use organizational, visual and planning skills to construct the ultimate labyrinth or towering structure. After the maze is built, marbles travel through the slanted holes and channels within the wooden blocks. 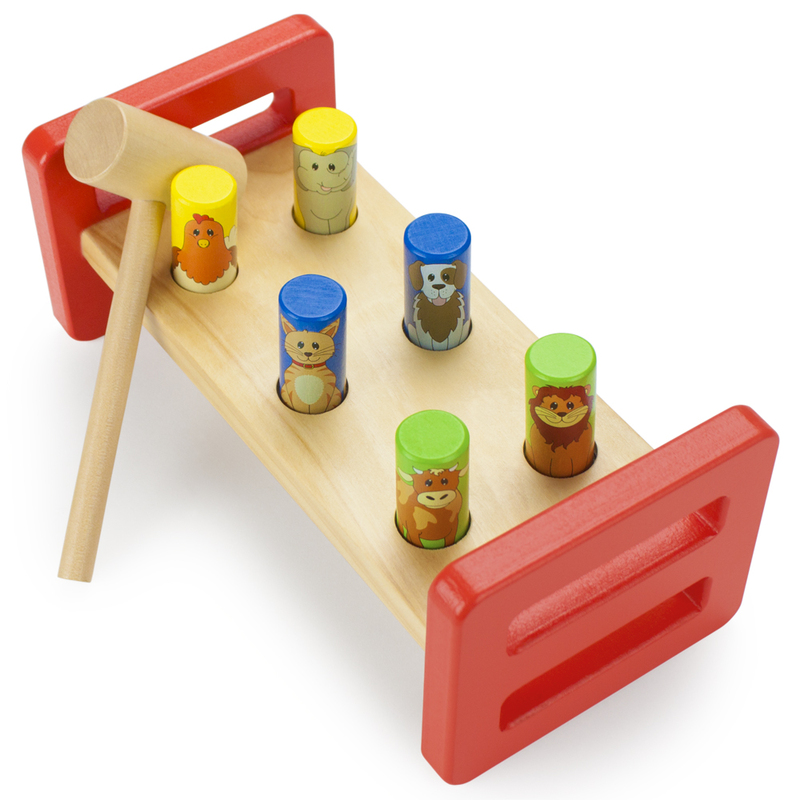 This high-quality set is excellent for developing organizational skills and coordination. It also teaches experience equivalence, symmetry, sequence and spatial awareness. 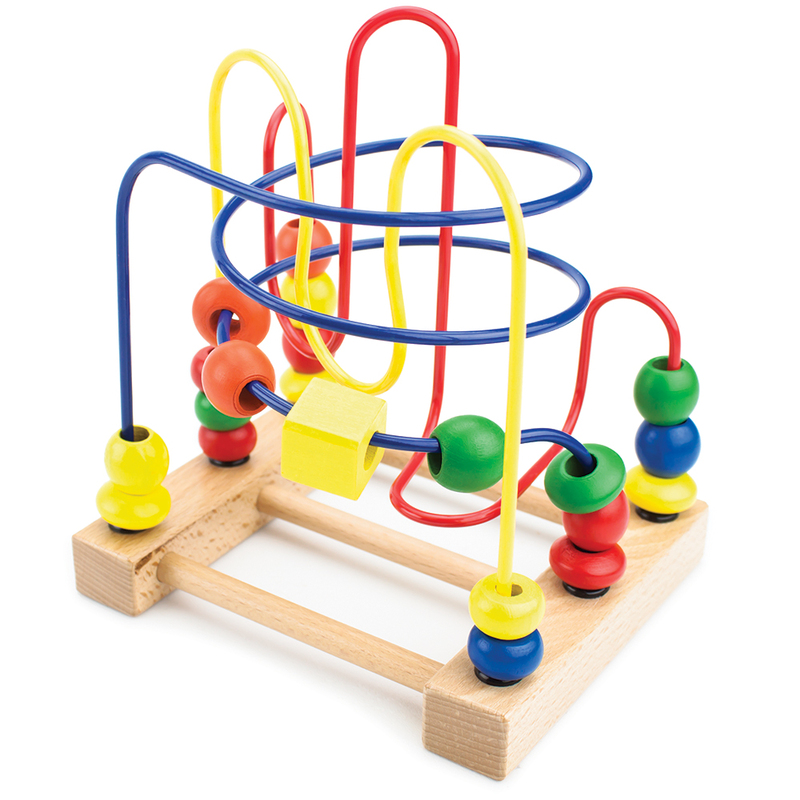 Amaze N' Marbles is a great toy to teach the basic principles of art, engineering and architecture. Each set comes with 50 wooden pieces, 10 marbles and a basic builder manual. This product is recommended for ages 5 and up. This 69 Piece Glow-In-The-Dark Crazy Forts set is perfect for building towers, caves, castles or anything else you can imagine! Best of all, when the lights go out, the balls and sticks glow, illuminating the darkness! Each set comes with 25 balls, and 44 sticks. No glue, screws, bolts or batteries are needed! Race all around the bead maze! As little fingers guide the multi-colored, solid wood beads along the three wire mazes' twisty-tight corners, they'll be building motor skills, hand-eye coordination, even shape and color recognition. And with a compact frame, this is learning that will travel. Measuring just 6.25" by 5.25", this bead maze is extra compact. Of course, it plays great on the floor, but it fits in play pens, in pop-up play tents, in cribs, and thanks to the no-slip foam feet, is perfect for coffee tables, desks, even on highchair trays! Best yet, the space-saving design lets you slip this bead maze right into a diaper bag or backpack. Take this classic toy anywhere, anytime, with ease. Small size? Big fun. This maze features 3 complex, fully-featured metal tracks: the blue corkscrew, the yellow roller coaster, and the red hairpin turns. Your little one will love navigating the twists, turns, small hills and big drops with all the different shapes and sizes of beads! Hearken back to a time when cavemen and dinosaurs walked the earth together... Okay, maybe that never happened, but how cool would it be if it had? Imagine up the answer to that very question and ever so many more with this jam-packed, 100 piece prehistoric playset! More than 40 dinosaurs from over 12 different species, including Tyrannosaurus Rex, Apatosaurus, Pterodactyl, Stegosaurus, Triceratops, Brachiosaurus, Diplodocus, Utahraptor, Dimetrodon, Pterosaur, Styracosaurus, Pachycephalosaurus, and more! Learn more about each species on the Prehistoric Fun Facts insert! Did you know the brachiosaurus has nostrils on the top of his head? Also included are twelve wily and resourceful cavemen, clusters of trees, rock formations with colorful ferns, two wooden bridges, a craggy, active volcano, and a solid, heavy cave for protection and shelter. 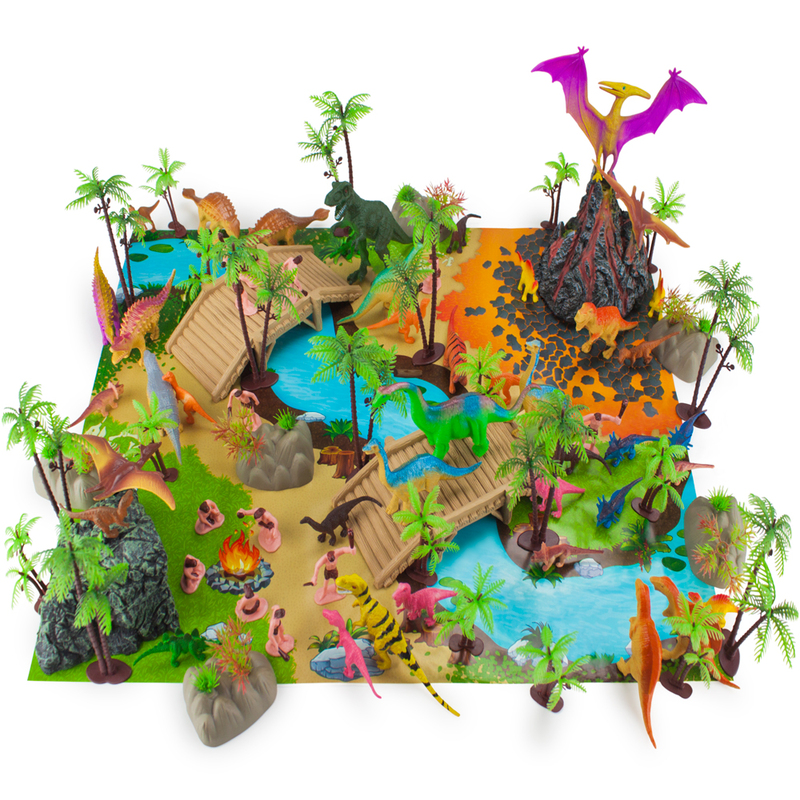 Assemble all these pieces on the spacious and detailed 23" x 19" play mat and explore prehistoria! And when you're finished, everything packs up neatly in the perfectly portable storage container. Add some elevation to your wooden train tool box and build your own custom rail bridge! Use the risers for a quick lift, or stack them double-high to create a lofty mountain line. Itching for more creative track designs? Our Build-a-Bridge starter set adds a tall bridge to standard train sets to give even the plainest patterns a little lift. Get creative with your train track designs with classic ascending hill pieces and a bridge! Our set includes eleven wooden pieces like one bridge, four ascending hill tracks, and six risers. The 2-level bridge allows you to be able to run train track underneath the bridge. No more locomotives treading down the same straight rail tracks, your railway will have some hills and a bridge to keep things fun and fresh! It's the perfect compliment to a classic young child hobby toy, your child will be playing for hours on end. Choo Choo! My name is Professor Poplar! 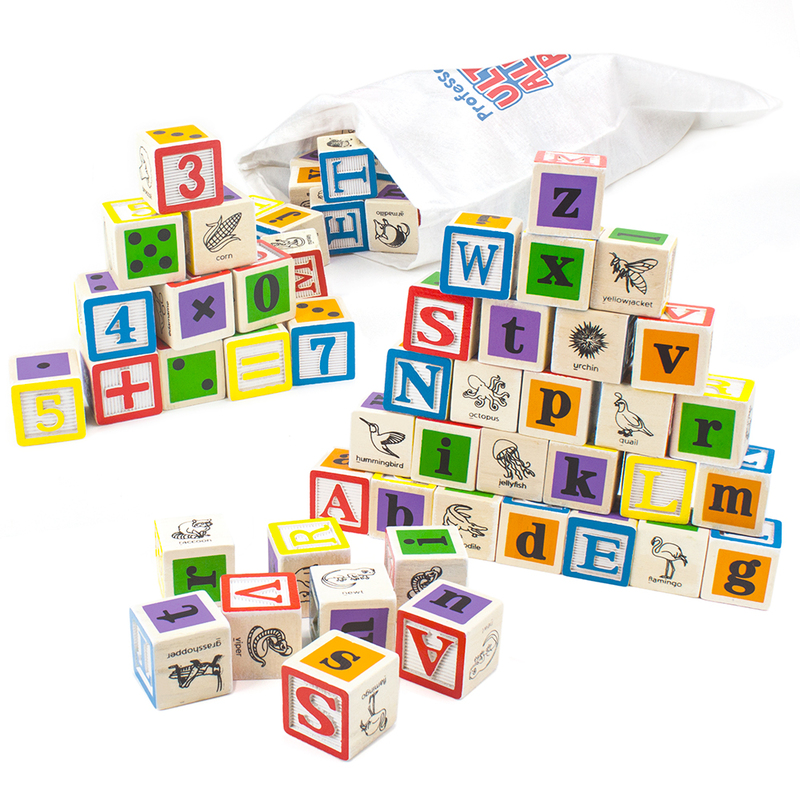 ...and these are my patented Ultimate Alphabet Blocks! I've packed as much of my own knowledge as I possible could into these wondrous cubes. Each natural wooden block may only have six sides, but the whole set of 50 blocks contains 11 concepts that are vital to reading and math readiness! If you look closely, you'll see that each letter block features two uppercase glyphs, two matching lowercase glyphs, and two exotic animals whose names begin with the glyphs! Genius, in my humble opinion. The numbers blocks include math operators to build simple equations, pips for counting practice, and illustrations of delicious, healthy food choices. All the blocks even feature pairings of primary and secondary colors! It's quite the genius composition of mine, if I do say so myself. Are you ready to take your railway to the next level? Check out this two piece railroad crossing set from Conductor Carl that's sure to have you riding the rails for hours on end! This two-piece set features red and yellow plastic barriers on wooden track for realistic street traffic safety. When you've got the right pieces of track, the only limit is your imagination. This set makes for a wholesome update for the early explorer, the builder, and the tinkerer. No play room is complete without a train set, and this pack adds a whole new level of awesome. New roads, new setups, new fun. Lay your solid wood tracks in incredible, intricate designs, then join them with simple, fitted pegs. Feel the gentle texture, breathe in that classic wooden scent, and start inventing. This 2-piece booster switch track pack lets you add your own inventive flair to pre-built train sets. Between the track splitters, turn table station, switch tracks, and more, there's all sorts of fun track extensions that will let your child build all kinds of amazing new tracks. 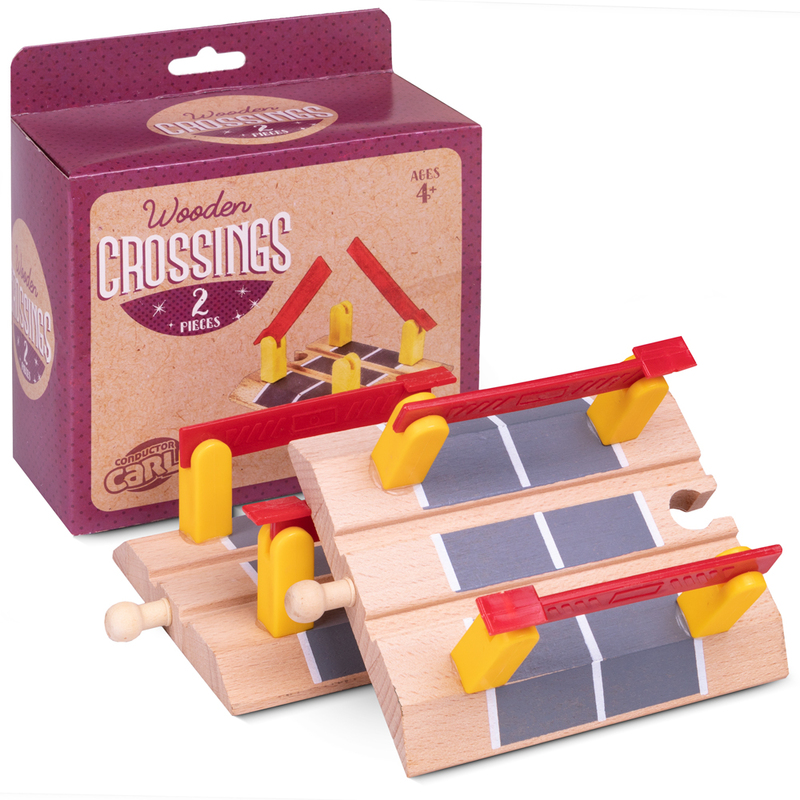 Fits all major wooden train brands, and is cut from solid wood, never plywood or MDF. Unleash your inner engineer with Constructables! Use wooden versions of real world tools to construct buildings, assemble vehicles and robots, and create simple machines----whatever you can imagine. Practice problem solving as you tinker with nuts, bolts, building boards, and more. 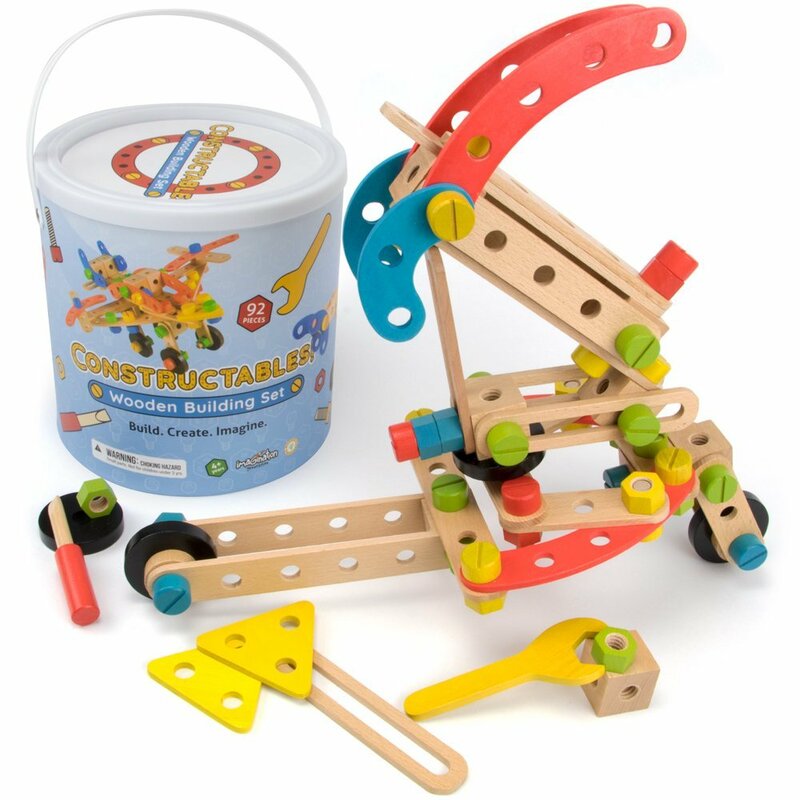 The wide and exciting variety of pieces kickstarts fine motor skills in young builders and inspires amateur architects to build, tear down, and build again! A fine way to develop problem solving skills is to make something, Constructables! helps bring out the creative nature of whoever plays with them. Your child will use their creativity and imagination to build unique objects and structures. This set makes a great stand-alone product or similar building sets. Get the best of building block playsets and push-n-pull toys in one fun package! Build, build, build with these 21 brightly-colored wooden blocks, and when it's time to go, just pack them up in the natural wood wagon, give the string a tug, and take them with you! Have blocks, will travel. Why You'll Love It: These unit blocks are small enough to fit little hands, and stacking them up into all sorts of shapes and structures is a great way to develop fine motor skills, express creativity, and encourage critical thinking and problem solving. They're also useful tools for teaching simple shapes and parts of a whole. Each block is cut from natural wood, sanded smooth, and brightly colored with safe paints. The wagon measures 8.5" long, 7.5" wide, and the blocks measure about 1.33" to 2.75" long. Let's Spend a Day at the Farm! Mooo. Oink! Do you hear all the farm animals? There's a cow, a pig, a horse, and many more! 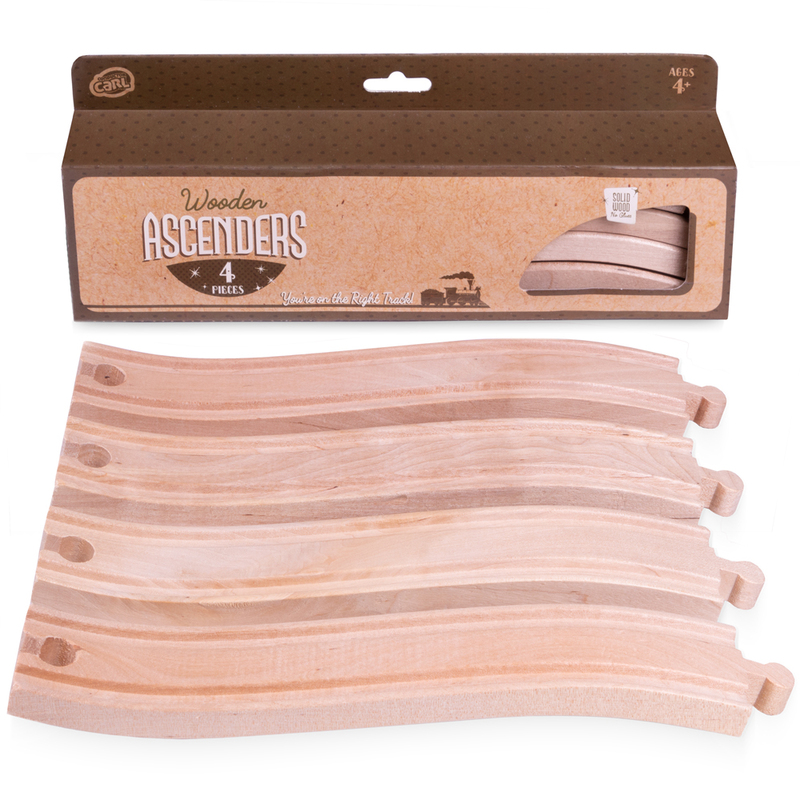 Stack up the nesting blocks as tall as you can or spread them out to build your very own farm. 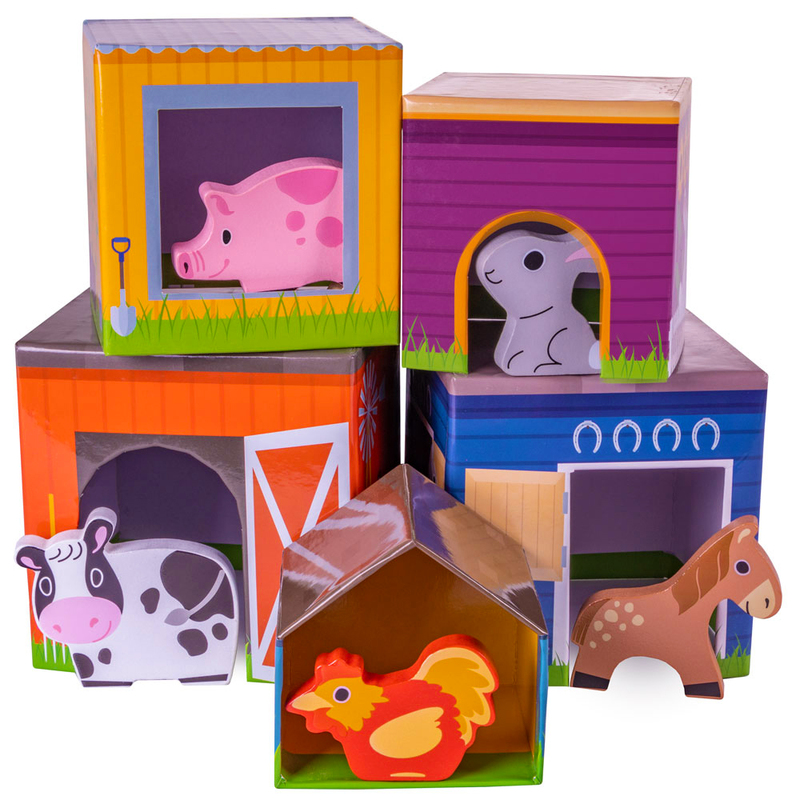 This playset includes five sturdy cardboard nesting boxes and five wooden farm animals to match. It's a great way to develop storytelling and role-play skills! There are so many ways to play with this set. Stack these nesting blocks high and place each animal in their home or build out your own farm setting and play with your animals! If you're a parent, test your child and see if they can name all the animals and have them make their noises. Have them place the animals into their respective barns! When your day at the farm comes to an end, simply stack the boxes back together until tomorrow! GET YOUR FILL ON THE GRILL! Made with natural cuts of wood and finished with water-based, safe paints. Develops fine motor skills and promotes imaginative play. This playset is recommended for kids ages 3 and up. 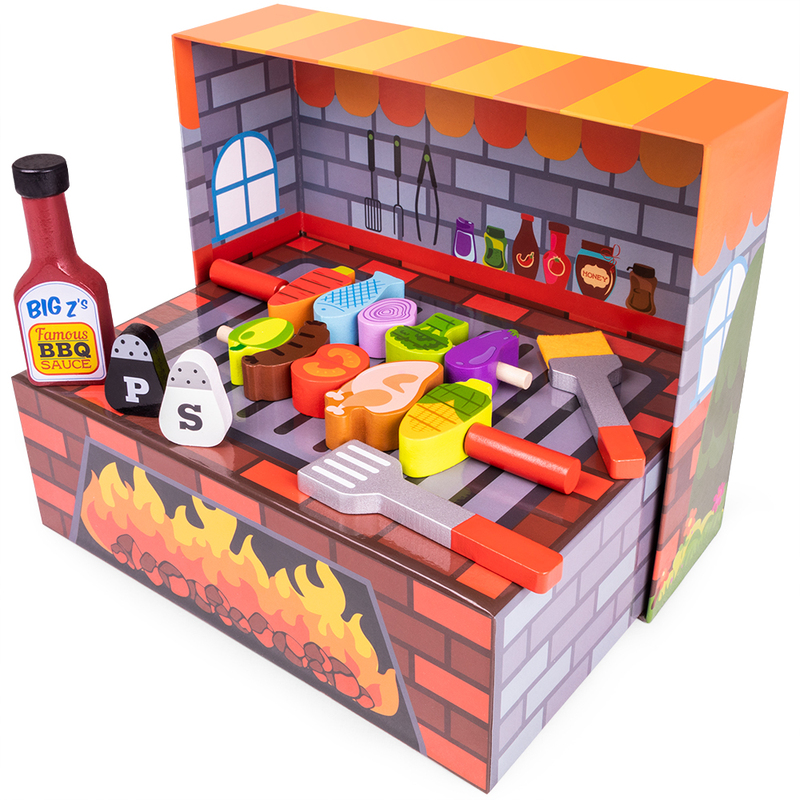 Be sure to check out all of our other Imagination Generation playsets for all kinds of great pretend play items! Saddle up your horses and bring them to this wooden barn and stable! With real working doors and a hay lift, this set has everything you need to take care of the horses: hay to eat fences to play in, and stables to sleep in. This wooden piece is great for horse play! It includes two farmers and three horses. 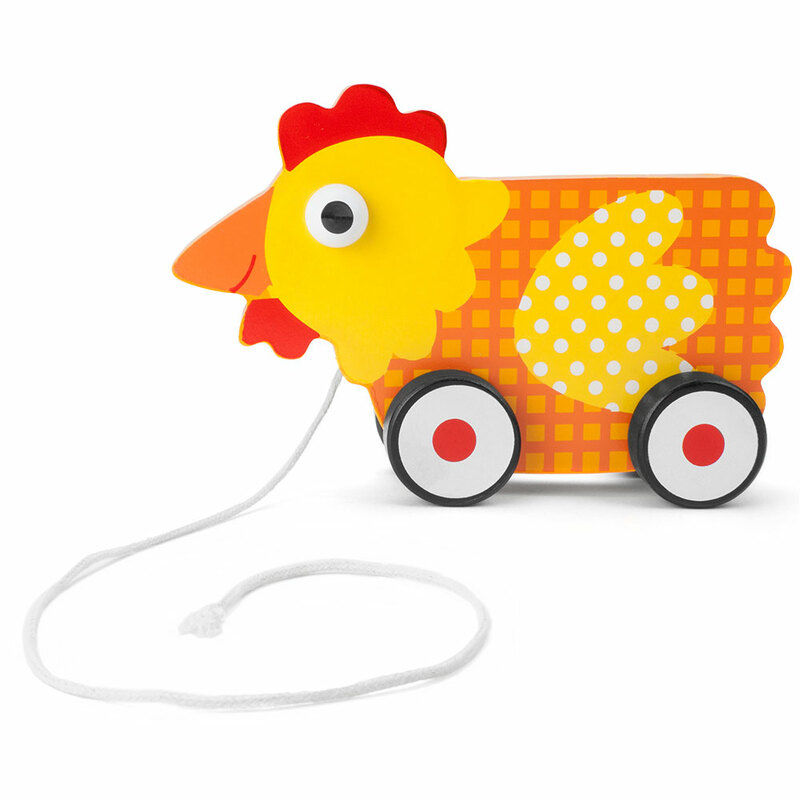 The classic design makes a great addition to any play house or barnyard set. It engages the imagination and develops social, emotional, and interpersonal skills through play. 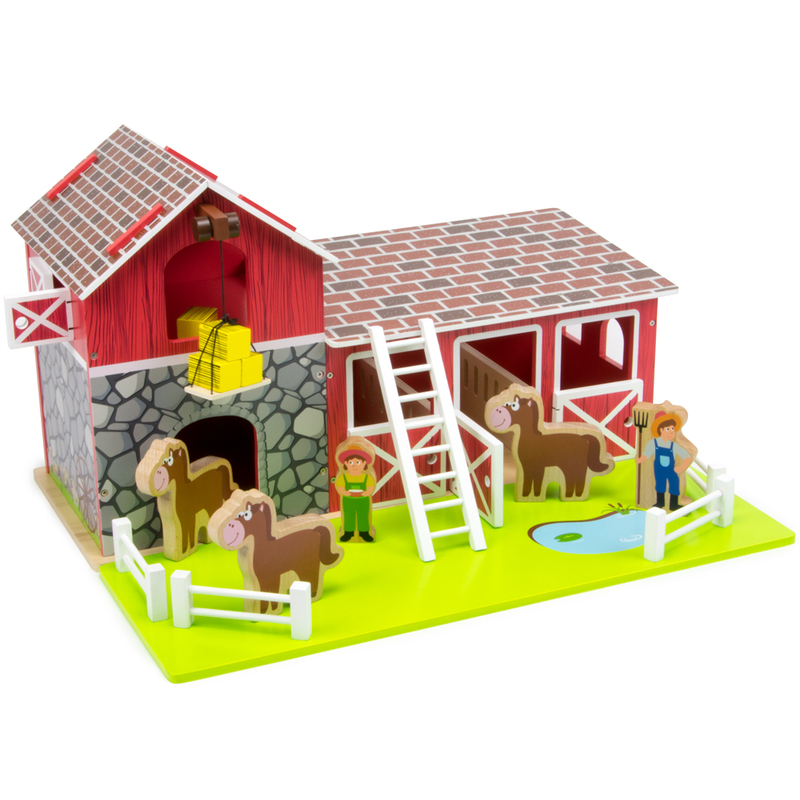 Why You'll Love It: This barnyard playset is great for little ones to improve fine motor skills, imaginative play, and social learning. Watch as they take care of the animals in the stables, send the hay bales up and down the loft, and have the farmers get to work. Made from natural cuts of wood and decorated with safe water-based paints. Get ready to create all sorts of new railways with this four piece set of ascending tracks from Conductor Carl. This set enables you to attach tracks that rise up off the floor so you can create passageways like slopes, hills, and even bridges! Lay down a couple pieces of track you own onto the floor then attach one of the riser pieces to the end with another one sloping downward attached. Run a couple of curved pieces as well and you'll have yourself a figure 8 track. Watch as the train runs under than over itself, or move on to create your own wacky railways. This set encourages explorative play and encourages creativity in seeing what kind of crazy tracks you can make. All of our Conductor Carl playsets are made from safe, natural cuts of wood. Sets are fully compatible with most major toy train brands. When you've got enough track, the only limit is your imagination. This box contains 100 wooden building blocks, and infinite creations! Cut into a fun variety of shapes and sizes, and made of lightweight, solid wood painted with four bright, cheery colors, your little builder will love stacking these blocks up-and knocking them down! And clean-up's a snap: all 100 pieces fit snugly in an included canvas carrying bag. 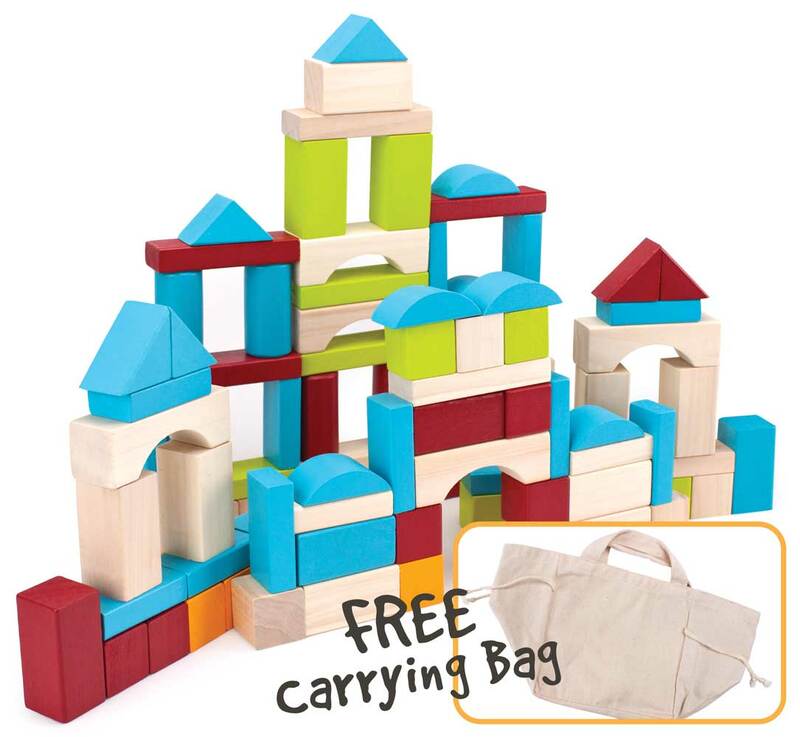 All the while, your little builder will develop fine motor skills, spatial relationships, and in the case of a toppling wooden tower, maybe even a little about gravity. They'll learn all about shapes, colors and sorting. And sanded smooth and coated with a layer of paint, these blocks are safe and won't chip or splinter, even through prolonged use. Included in this set of 100 blocks are 16 rectangular prisms, 32 cubes, 4 cylinders, 4 large triangles, 2 small triangles, 6 crescents, 6 bridges and 30 ledges. A classic, kid-powered toy that never needs batteries! 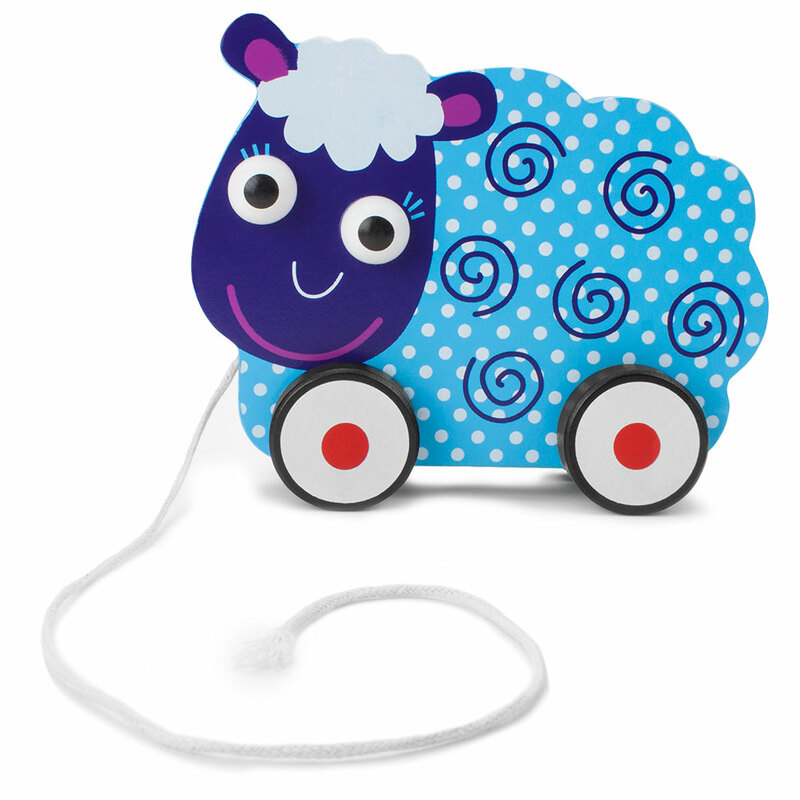 This wooden animal pal is equipped with wheels and can be whisked to and fro! Great for crawlers, walkers, and toddlers. For more fluid, fun play, we gave our push-n-pull toys a wide and steady 2.25" base that resists tipping, so push it around by hand or tug it along by the bright, 8" white cord! Suitable for ages 12m+. Why You'll Love It: Some toys are just time-tested classics. Push-n-Pull toys are fun and active. They develop fine and gross motor skills, and they really grow with their kids, keeping up with crawlers and walkers alike! Each cut of all-natural wood is sanded smooth and vibrantly colored with safe paints tested and certified free of soluble heavy metals. "I'm Mayor Rosewood, and welcome to Blocktown! Can you help us create the perfect place to live and play? 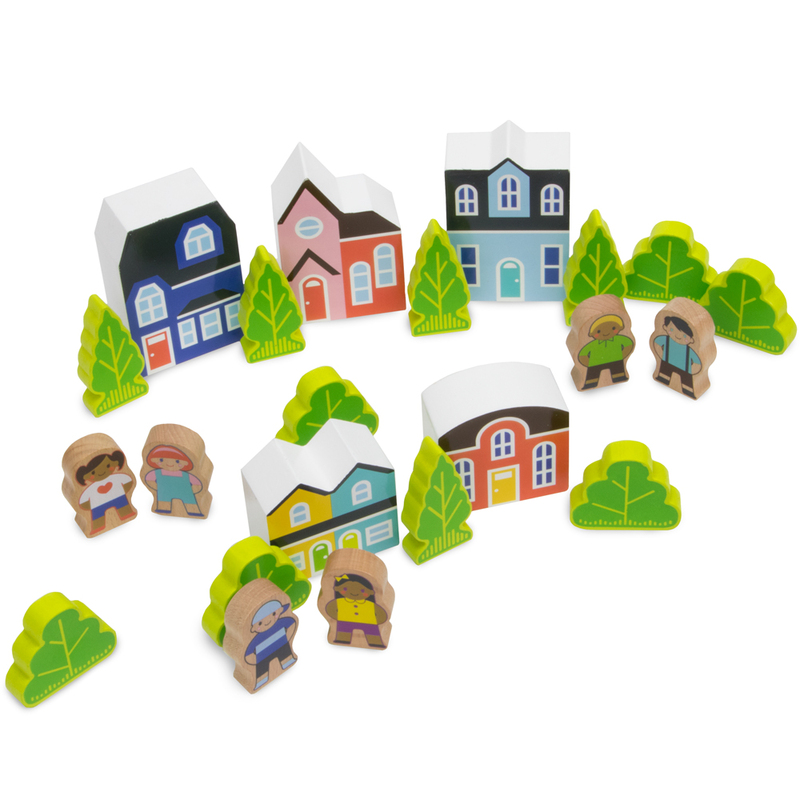 Set up your colorful houses however you like, then come meet the friendly townsfolk! Blocktown's buildings and citizens are brimming with social learning opportunities and emergent, imaginative play." The premium wooden blocks are made from solid, natural cuts of wood and decorated with safe water-based paint. They're a great addition to wooden train sets, block sets, and make great friends with other figurines. When kids use they're imagination, they're learning how to interact with others. Each character they play with allows them to use social skills and express themselves. This little block town will help spark your child's creativity as they construct a place for their characters to live and explore. With a variety of pieces and so many ways to set them up, little ones can let their imagination go wild! "I'm Mayor Rosewood, and welcome to Blockopolis. Here's how to play: Start by assembling the city map. 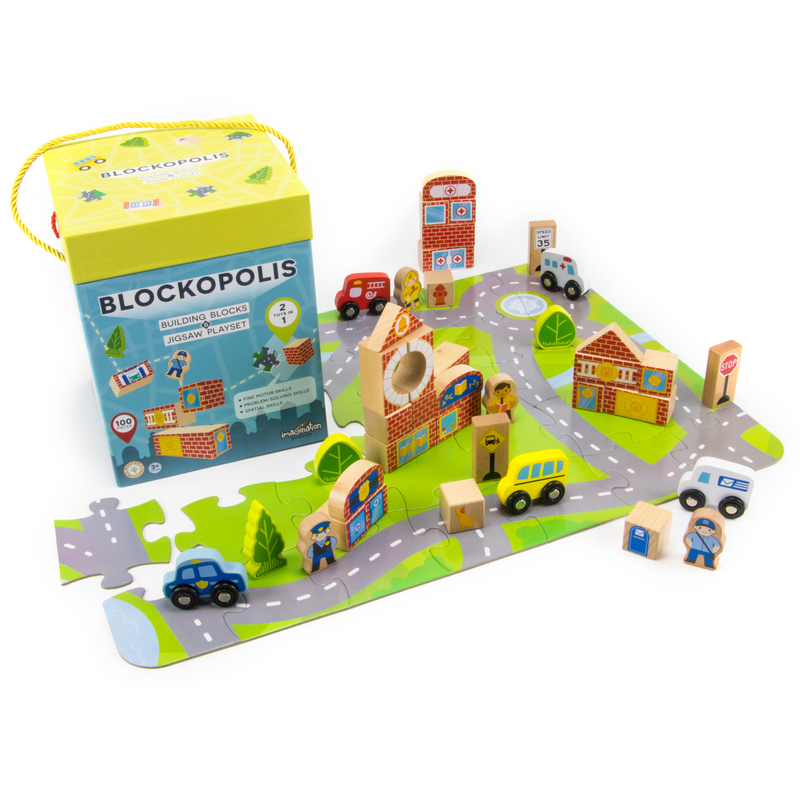 Blockopolis sits on a spacious, jumbo jigsaw puzzle with 35 pieces that's nearly 2 feet wide. Next, stack up the buildings. Mix & match Blockopolis' 9 buildings! There's a hospital, police station, and fire station; a post office, town hall, school, and a grocery store, pet shop, and car wash. It's a bustling busy city! After that, add citizens and vehicles. Drop in the nurse, fireman, police office, mailman, and teacher, and drive around the ambulance, fire truck, and school bus. Add in your own toys to fill the city up! And last but not least, play!" When kids use they're imagination, they're learning how to interact with others. Each character they play with allows them to use social skills and express themselves. This 100-piece block city will help spark your child's creativity as they construct a place for their characters to live and explore. With a variety of pieces and so many ways to set them up, little ones can let their imagination go wild! Doctor Dan and Nurse Nancy work hard every day to get their patients on the mend. Help them diagnose their patients, perform operations, give x-rays, and more! 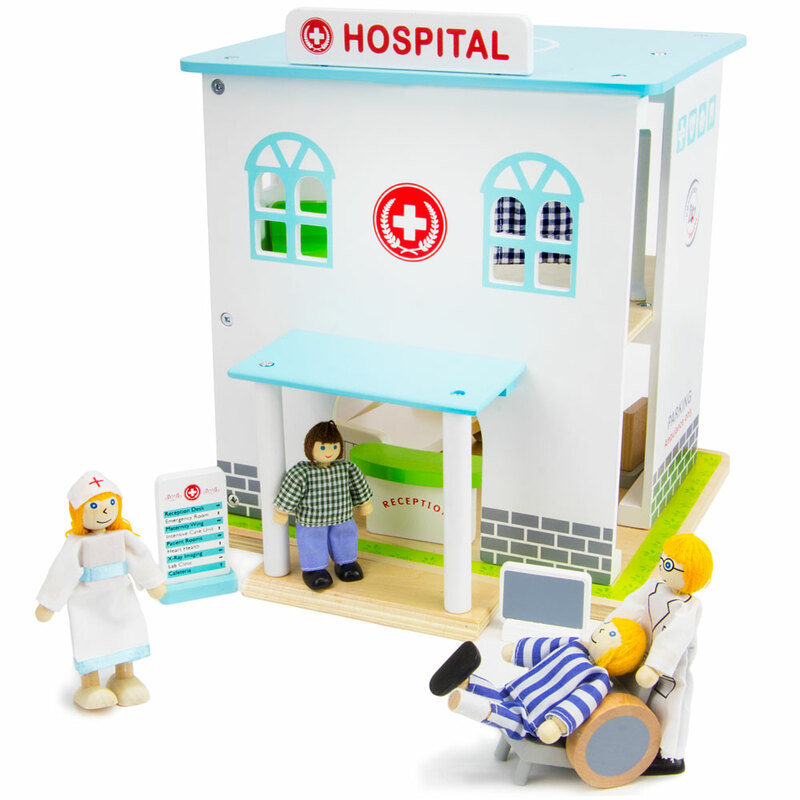 This wooden hospital playset contains 14 creative and colorful pieces for your child to open up their own hospital. 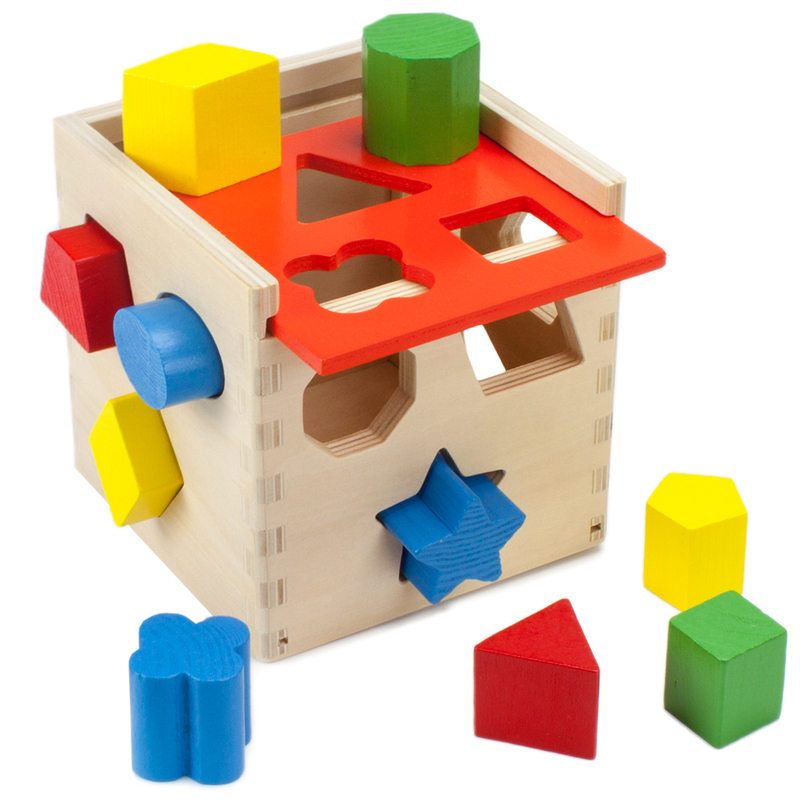 Wooden toys are a wonderful way to learn about shapes and develop spatial reasoning, while having a lot of fun. Our wooden hospital is easy to set up so your little doctor can start helping people as soon as the box is opened! The Helping Hands Hospital set comes packed with everything your sprouting doctor needs to start operating. Our two-story Helping Hands Hospital is made from natural cuts of wood and includes a doctor, nurse, two patients, and nine pieces of vital hospital equipment-everything your little one needs to start saving lives! Constructables! Pine Wood Building Planks, 150pcs. Constructables! Pine Wood Building Planks, 150pcs. Powered by imagination: no glue or tools required. One hundred fifty blocks, endless possibilities. Constructables! are the next stimulating challenge for the builder in your family. Cut to a uniform and consistent 4.65" x .95" x .25" size for stable, secure stacking, these flat planks are perfect for constructing just about any shape or structure you can imagine. Why You'll Love It: Due to their ingeniously simple design, Constructables! are engaging and stimulating fun for all ages and levels of skill, which means they grow up right along with their owners. The same tub of planks is just as perfect for a 3-year-old who has outgrown her first set of building blocks as it is for the teenager piecing together a complex skyscraper or pirate ship. Better yet, each and every plank in your tub of Constructables! is cut from all-natural, unprocessed and unpainted pine wood imported from New Zealand. Check the grain: no glues or plywoods here, just real, good wood. Arithmetic & Counting You Can Touch! I'm Professor Poplar, and this is my Astounding Arithmajig! 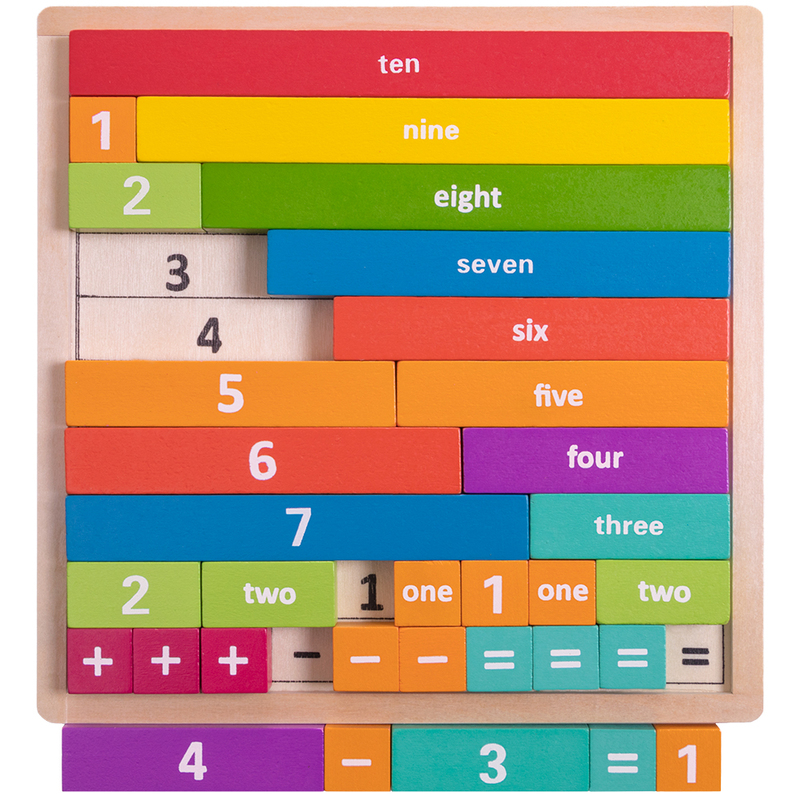 This multimodal, Montessori, masterpiece of a toy is a totally tactile way to learn ealy arithmetic. Pick up the unit blocks and feel their different lengths as you count, add, and subtract. You can even arrange them into equations, shapes, and patterns to help develop fine motor skills! Try to find all the different combinations of numbers and operations you can use to get to ten! Or if you want to work on your subtraction or addition, simply put two numbers in one slot with the operative symbol and the equal sign below with the answer. If your blocks on top and bottom are of equal size, you are correct. This toy makes learning fun when you can see just how many different ways to get to the answer! And parents will love seeing the kids have fun with one of my best inventions yet as their kids have fun learning and playing. As always, my blocks are cut from natural wood, sanded smooth, and finished with water-based, safe paints. You won't have to worry about our products shipping with unsafe materials or splinters, all Imagination Generation products are made with the utmost attention to quality. A crime was just committed and the suspect got away! These officers have done all they can do, so they're calling in reinforcements to patrol the area, investigate the scene, and interview witnesses. They need your help catching the suspect! Will you come to the scene of the crime to help these officers? 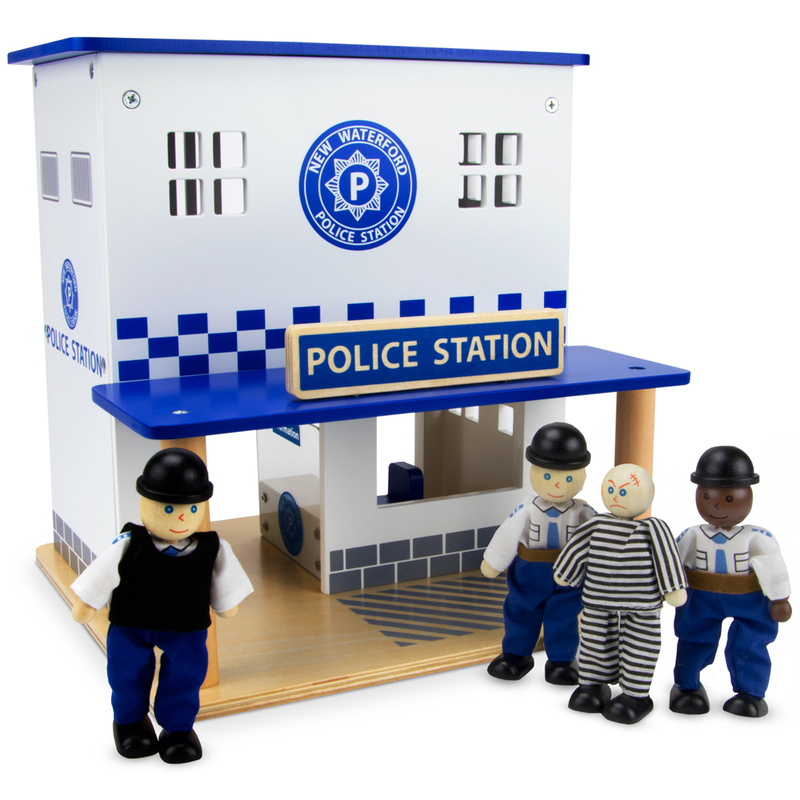 This wooden playset contains 10 colorful pieces for your child to open their own police station. 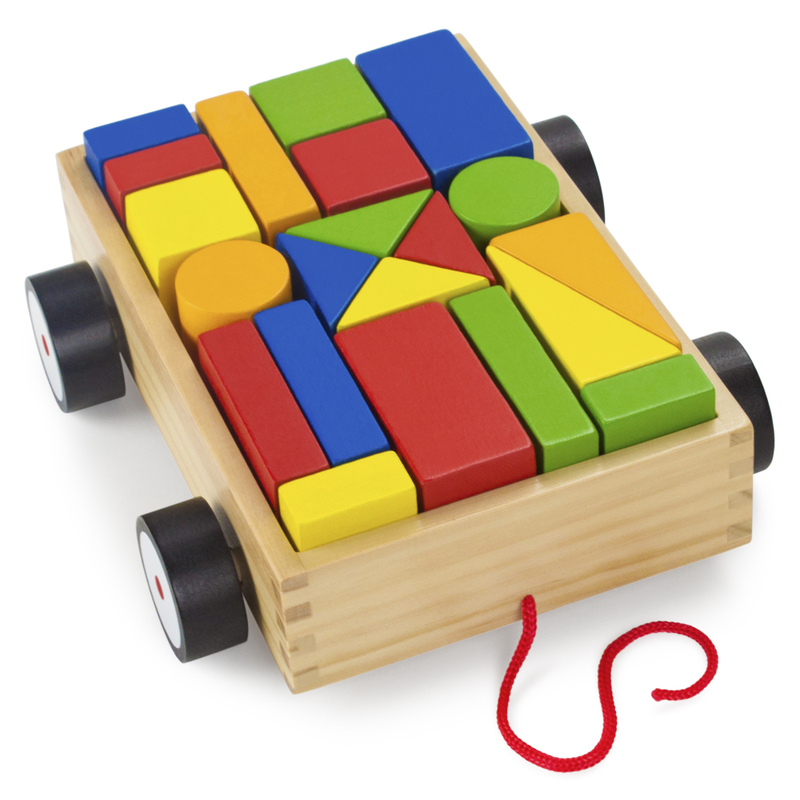 Wooden toys are a wonderful way to learn about shapes and develop spatial reasoning, while having a lot of fun. Our wooden playset is easy to set up so your little officer can start fighting crime as soon as the box is opened! The Crime Busters Police Station playset comes packed with 10 creative pieces for your sprouting future officer to protect the peace in their own imaginary adventures. Our two-story police station is made from natural cuts of wood and includes 3 police officers, a suspect, and 5 pieces of movable furniture -- everything your little one needs to catch, interview, and book criminals. Piece together mini masterpieces! Use the eight unique wooden shapes to create patterns, shapes, and magnificent mosaics. Watch as your child uses their creativity and imagination to create one-of-a-kind pieces. From animals to astronauts, and boats to battleships. If they can imagine it, they can bring it to life! Includes 35 triangles, 30 squares, 30 parallelograms, 30 semicircles, 30 diamonds, 30 trapezoids, 30 octagons, and 30 arches. This set packs 250 pieces in total! Made of cuts of natural wood and finished with water-based, safe paints. An excellent way to reinforce spatial reasoning concepts like fractions and wholes. With every mosaic your child creates, they'll boost their early problem solving, color recognition, and spatial awareness skills. Need some help making a pattern? We've included a booklet with 16 pre-made patterns! 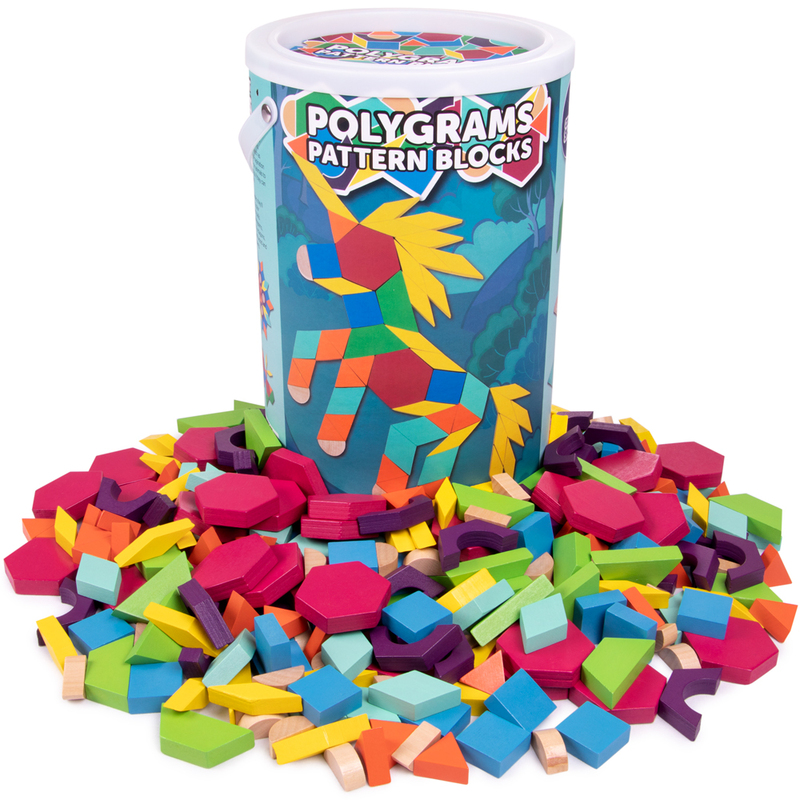 These pattern blocks are a great teaching resource, perfect for elementary school to high school art, mathematics, and geometry! An excellent tool for the Montessori classroom, manipulatives help young learners grasp mathematical concepts and give a hands-on experience that reinforces important lessons. Great for sorting, measuring, and counting. When you're a hungry bear with a rumble in your tummy, a beehive looks like a buffet! 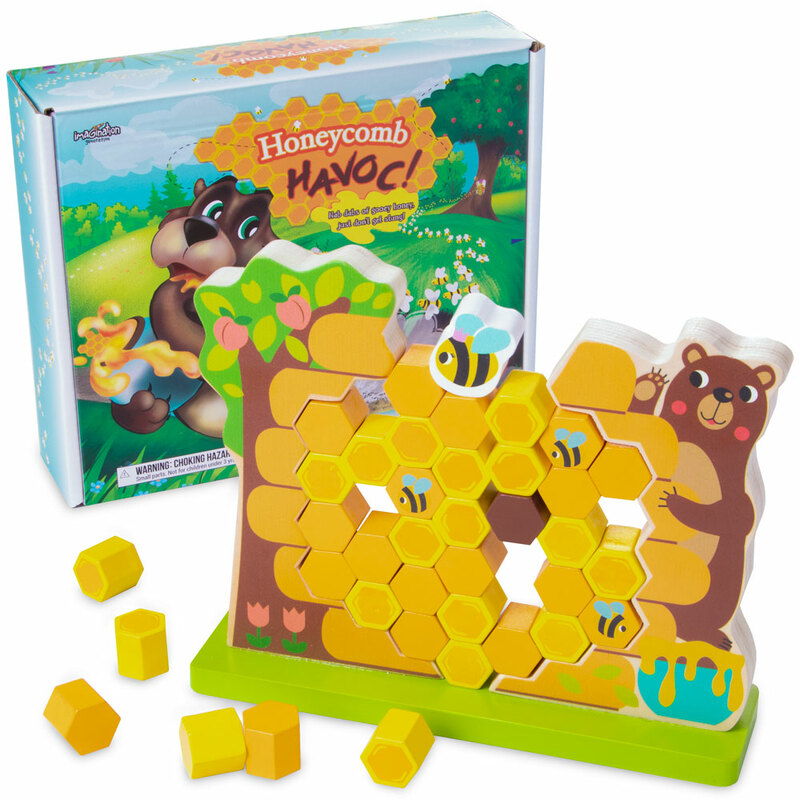 Use your paws to poke out pieces of honeycombs, snatching up delicious gobs of honey to munch for lunch. Just don't alert the queen! If she falls, it's game over, and losing really stings! Cut from natural wood and finished with safe, water-based paint, Honeycomb Havoc! Is a fun dexterity challenge that supercharges fine motor skills and critical thinking capacity. Sure, it's great for 2-4 players, but it's also an exciting challenge for one! Are you ready to take your railway to the next level? Check out this wooden turntable set from Conductor Carl that's sure to have you riding the rails for hours on end! 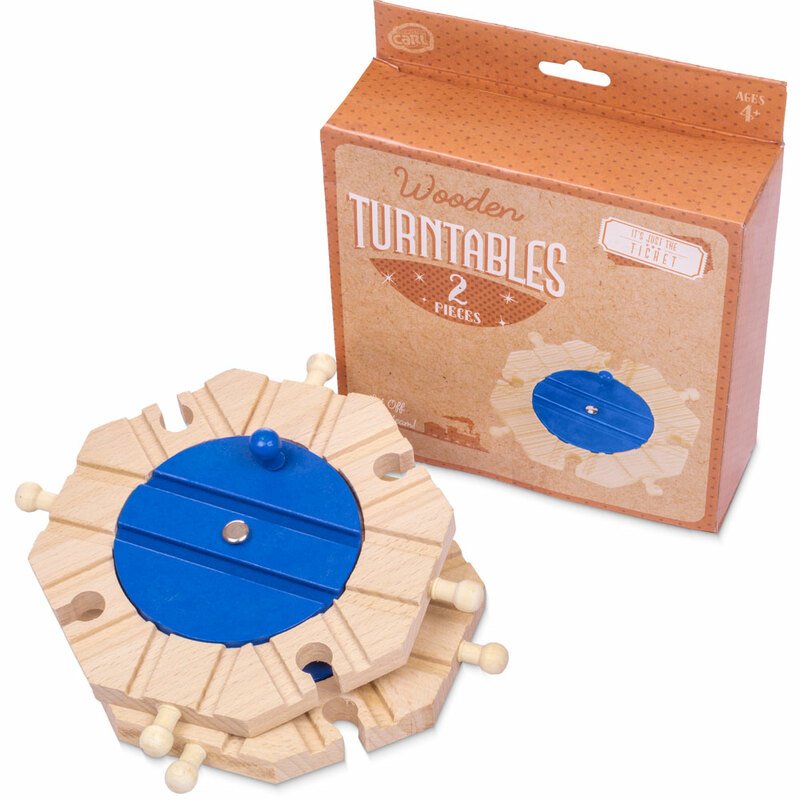 This set features two hand-rotating turntables that can be spun an entire 360 degrees and adjusted eight different ways for infinite possibilities! When you've got the right pieces of track, the only limit is your imagination. This set makes for a wholesome update for the early explorer, the builder, and the tinkerer. No play room is complete without a train set, and this pack adds a whole new level of awesome. New roads, new setups, new fun. Lay your solid wood tracks in incredible, intricate designs, then join them with simple, fitted pegs. Feel the gentle texture, breathe in that classic wooden scent, and start inventing. This 2-piece booster turntable track pack lets you add your own inventive flair to pre-built train sets. Between the track splitters, turn table station, switch tracks, and more, there's all sorts of fun track extensions that will let your child build all kinds of amazing new tracks. 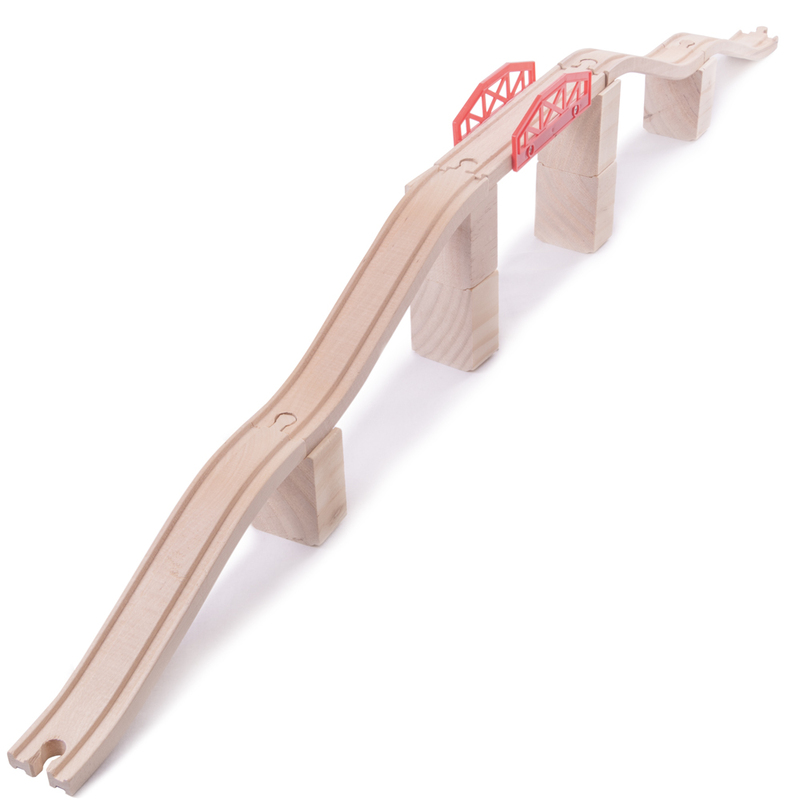 Fits all major wooden train brands, and is cut from solid wood, never plywood or MDF. We've refreshed the classic ring stacker! 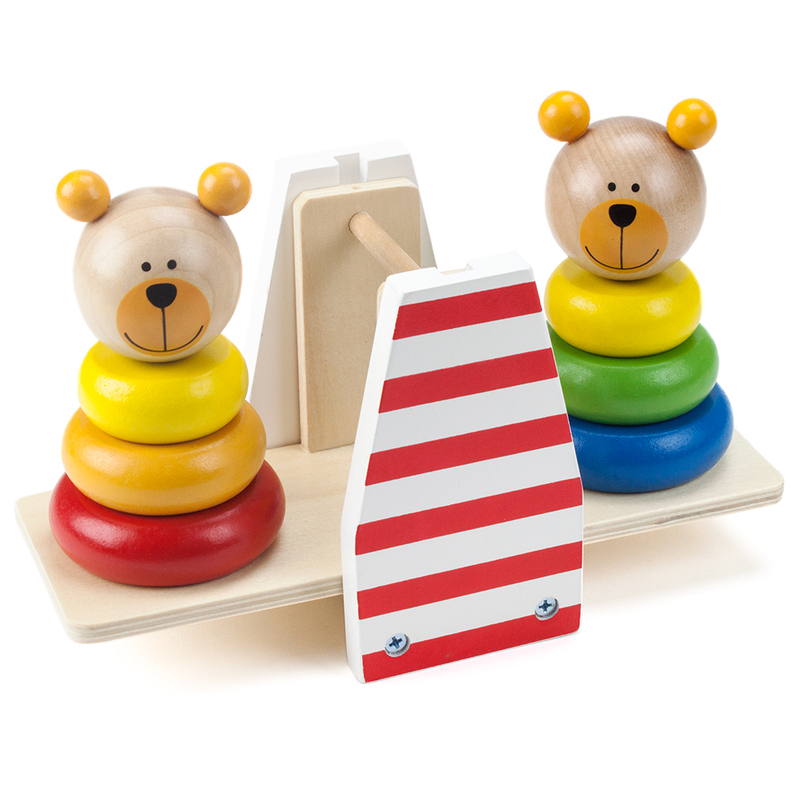 These two colorful bears are enjoying the see-saw and want to teach you all about balance! What happens to the see-saw when you pull off one of the pal's pieces? Can you stack up all the rings and keep the see-saw balanced? Why You'll Love It: This is a new twist on the ring stacker with a fun bear theme! The big chunky wooden rings are perfect for little hands, and stacking up this bear pair develops fine motor skills, hand-eye coordination, and introduces the fundamentals of balance. Each piece is cut from natural wood, sanded smooth, and brightly colored with safe paints. Don't forget your hard hat! Beep beep! You are now entering a construction zone. 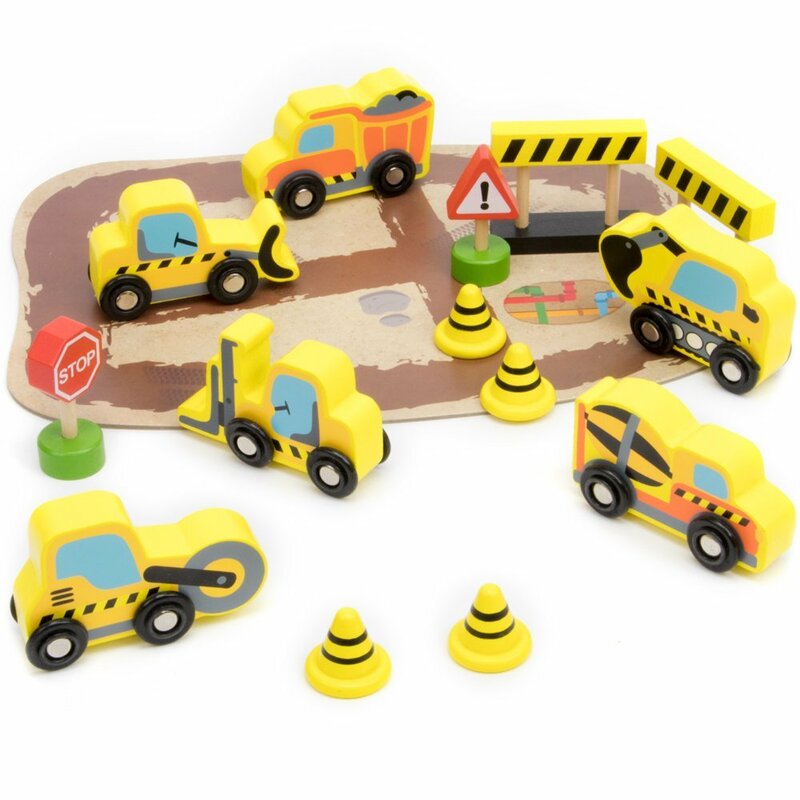 This wooden construction set includes 1 dump truck, 1 road roller, 1 forklift, 1 bulldozer, 1 cement truck and 1 excavator, an assortment of street signs and traffic cones, and a cardboard construction site for enhanced playtime! 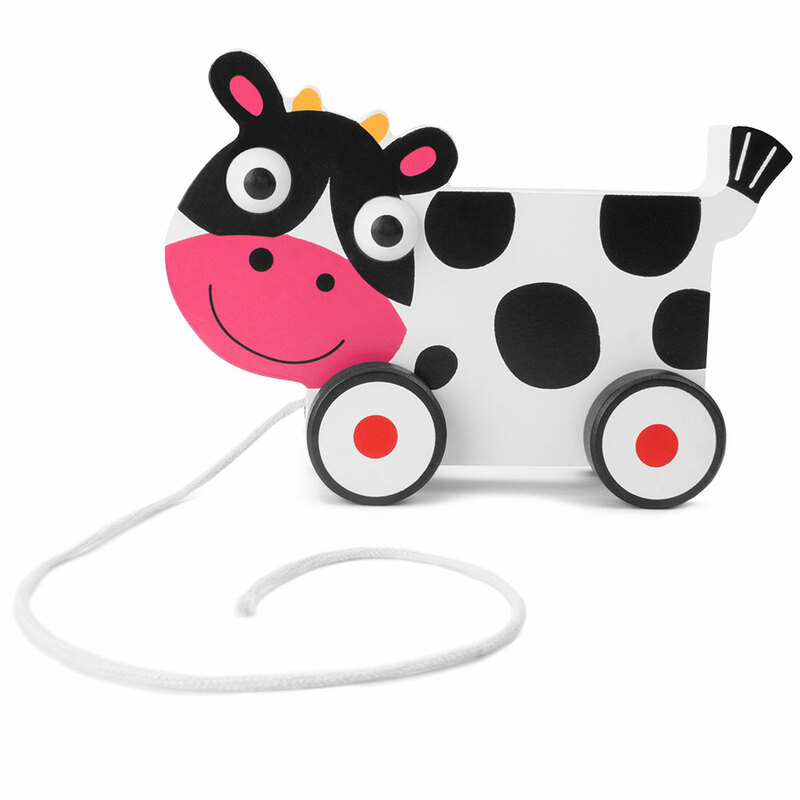 These wooden toys are cut from real wood, sanded smooth, and painted brightly with safe non-toxic, water-based paint so theyG++re safe for little hands. A classic and convenient way to let your child build their imagination! Imaginative gameplay is a great way to facilitate your childG++s creativity, independence, hand-eye coordination and social skills. In addition to this, learning about the various functions of each vehicle teaches your child basic concepts like cause and effect! An indispensable addition to any toy collection! Simple and nearly endless fun for early learners. Just grab the hammer, match up the colored pegs, and pound 'em down! Then, flip the bench over and start again! Can you name each of the animals on the pegs? There's a lion, an elephant, a hen, cow, dog, and cat! Why You'll Love It: The hammer bench is a classic, time-tested toy great for learners right around 2 years. Gripping and manipulating the hammer sharpens fine motor skills and makes stimulating, fun sounds. Matching the colored animal pegs together promotes color recognition and early vocabulary. Best of all, the bench and all its pieces are cut from all-natural wood, sanded smooth, and brightly colored with safe paints.